XO 270 Front Cab fitted with Volvo D4-300 diesel sterndrive with 116 engine hours. Beat the factory waiting list - available for immediate delivery. One owner boat supplied in Aug-17 (2016 HIN). Engine and sterndrive serviced in Apr-18. 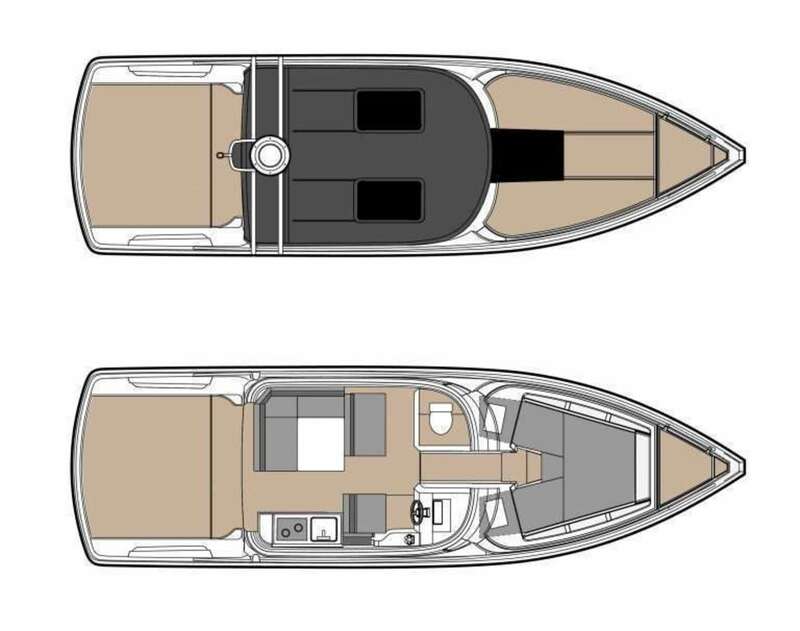 Fantastic all weather boat with accommodation for 2+2 with the optional toliet module. Well equipped with bowthruster, heating, touchscreen Simrad GPS plotter, electric anchor winch, twin sunroofs, auto trim tabs. To arrange viewing, please call James at Boats.co.uk at Salterns Marina on +44 (0)1202 797777. Viewing by prior appointment please. ** NOTE - THIS IS NOT A BROKERAGE BOAT - This STOCK boat comes with a minimum 3 month warranty (extendable at point of purchase) to cover engines, drives and major systems, Clear and full title and VAT papers. Part exchange welcome and encouraged. Finance plans too & all supported by our 24/7 triple-award winning customer support team. This boat has also been checked and prepared to a high standard. Please take this into account when comparing against other boats!